Beneath Hong Kong’s modern skyscrapers lies a surprisingly kid-friendly destination. The city holds tremendous sentimental value as our former home and my daughter’s birthplace. We return every year mostly because the list of things to do in Hong Kong with kids is rather large. The neat thing about Hong Kong is that we experience something new every time we visit. For such a tiny destination, it really packs a punch. It’s become much easier to buy tickets for Hong Kong attractions in advance, which you absolutely should do. I’ve noted where this is possible, and in most cases, it’s via Klook, an enormous tour operator in Asia. You’ll usually save a little money and skip queues by entering with their mobile or printed tickets. We’ve been to every Disneyland in the world, and Hong Kong Disneyland is by far our favorite. I’m a fan of experiencing Disney in other cultures because the food and other aspects are different. While there can be lines, they are shorter than any other Disney park we’ve been to. Rides like “it’s a small world” are sung in English though instructions for this and that around the park are typically given in English, Cantonese, and Mandarin. Of the major roller coasters, Hyperspace Mountain (more or less Space Mountain for those familiar with Disneyland in Anaheim) is the only one represented here. Do not miss Iron Man Experience, Big Grizzly Mountain Runaway Mine Cars, and Mystic Manor. 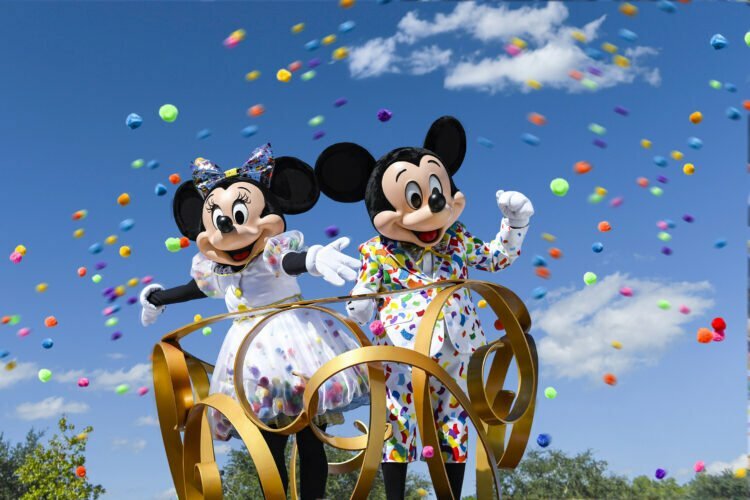 Hong Kong Disneyland hotel or other luxury hotel concierge. The key is to buy them in advance to avoid potential lines at park ticket booths. 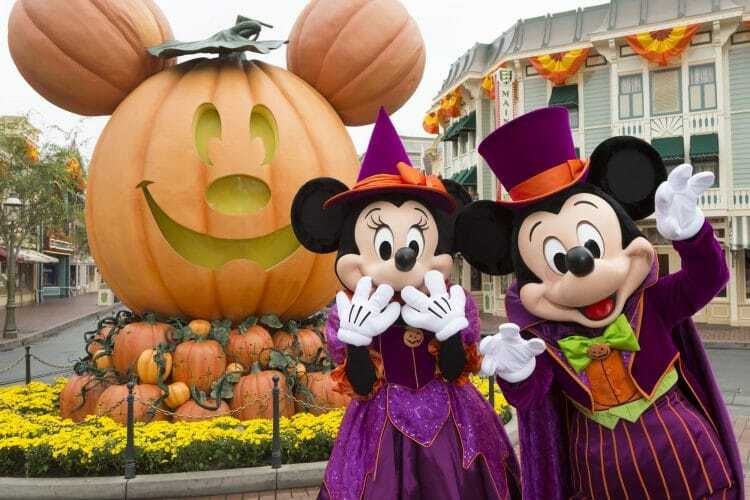 If short on time, a half-day visit to Hong Kong Disneyland is still worth it. If you’re coming during summer months and would like to skip the lines, think about booking a 3-hour Disneyland VIP Tour. The Bibbidi Bobbidi Boutique (there is one in the park now, too), Hong Kong Disneyland character dining, and Disney dim sum all take place at Disneyland Hotel, which is a quick shuttle bus away from the theme park. You’ll need to reserve either of these experiences in advance. 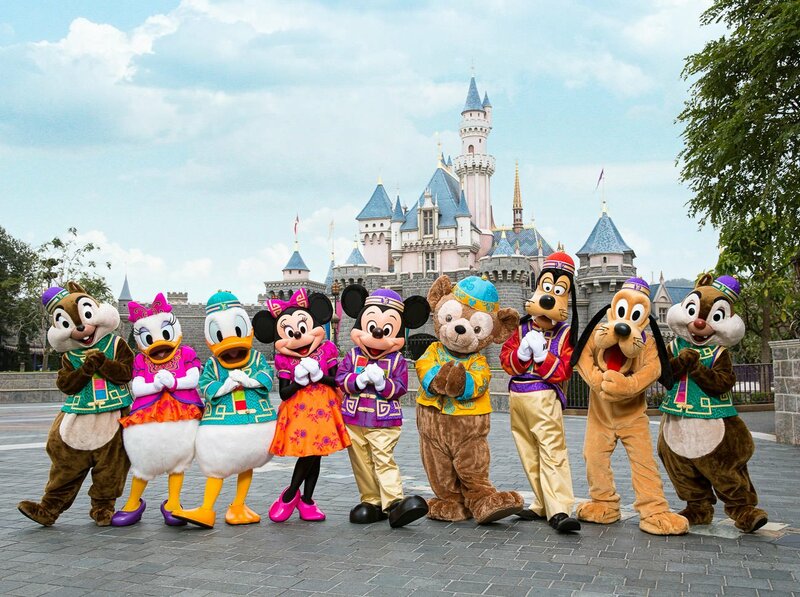 Though it’s small relative to other Disney parks, Hong Kong Disneyland is one of the best things to do in Hong Kong with kids. 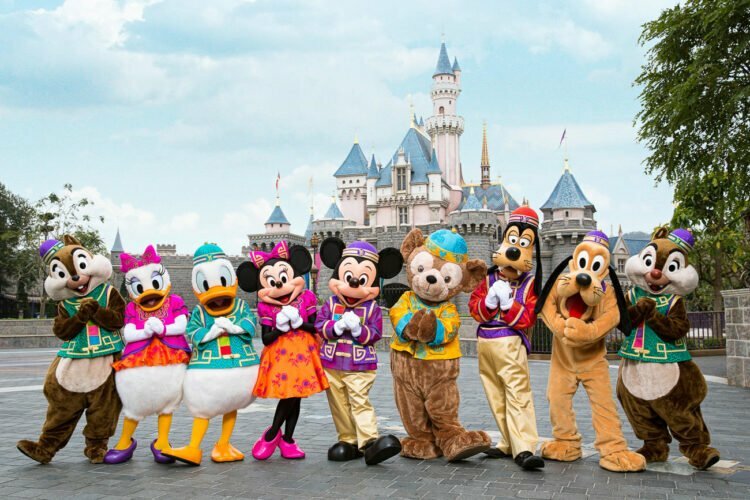 I have an extensive guide to Hong Kong Disneyland which has a good discussion in the comments and tips for visiting Hong Kong Disneyland in the summer. Sea-themed Ocean Park Hong Kong is on the south side of Hong Kong island and accessible by car, bus, taxi and now the MTR (it’s one stop from the Admiralty station). 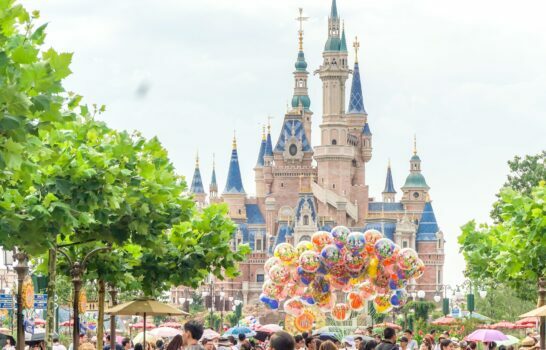 Some prefer this park to Hong Kong Disneyland because it’s unique with fewer crowds and opportunities for animal encounters (check the schedule). We recently participated in the Honorary Panda Keeper program. 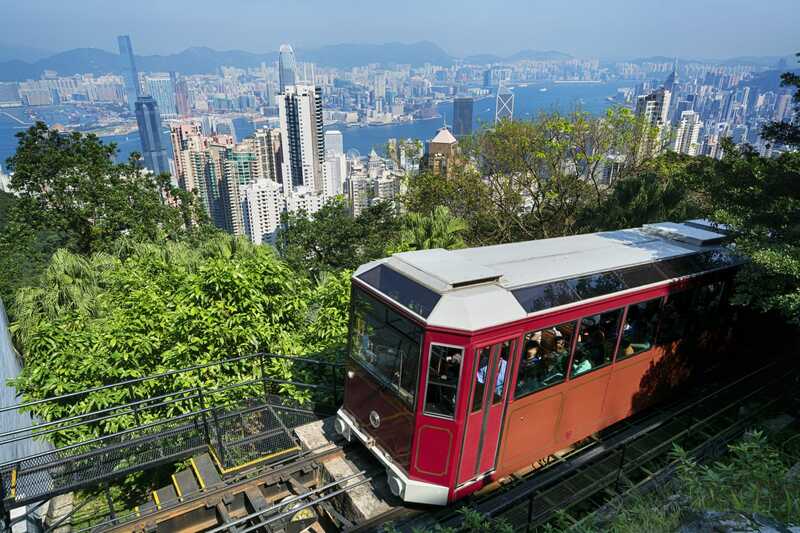 The park is divided into two—a lower level and upper level—connected by a sky tram that provides some of the best views of this part of Hong Kong island. 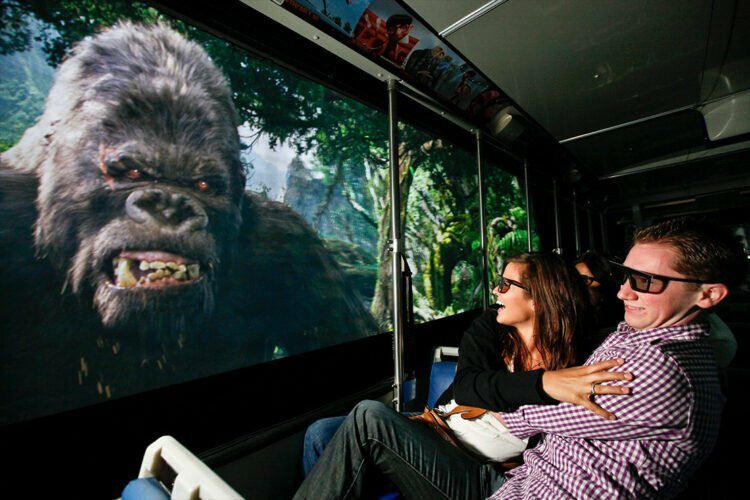 The sky tram is a bit hairy on windy days. A submarine-themed train barrels through the mountain to the other side, too. The lines are usually shorter if you take the train up to the upper level and the cable car down. The Waterfront (lower area) area near the entrance has the pandas, a huge aquarium and a playground for younger kids. The Summit (upper area) has rides for older kids, the sea lions (which you can toss fish to at designated times), the main show area and other attractions. 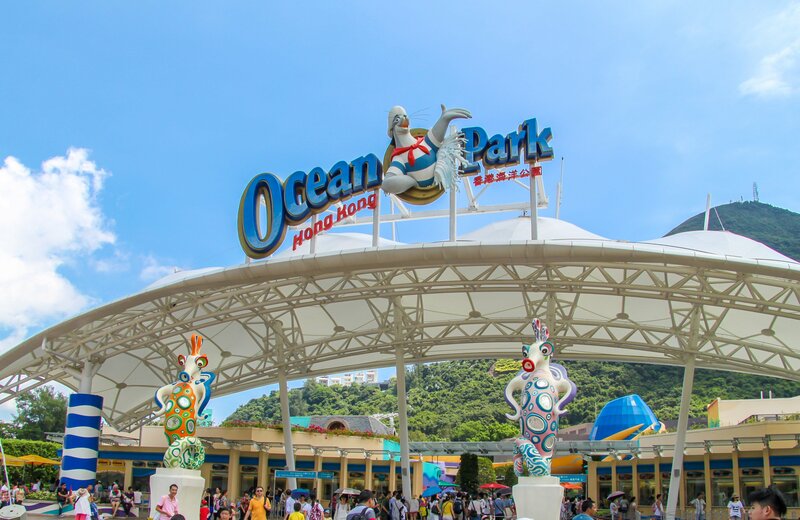 Ocean Park is also doable with just a half-day if you’re short on time. Also, buy tickets in advance to avoid lines. Klook also has discounted Ocean Park tickets. The Star Ferry Hong Kong is a historical American-football-shaped boat that journeys from Central to Kowloon or Wan Chai to Kowloon in just a few minutes (6-12 depending on the time of day). 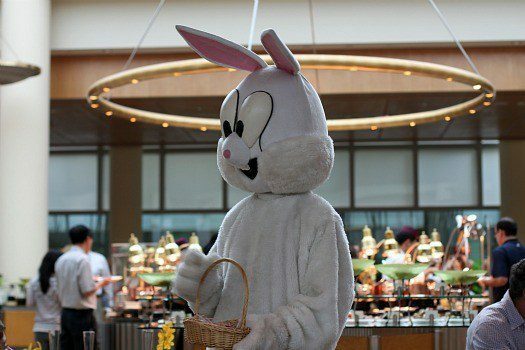 It also goes to the Hong Kong Disneyland hotel once per day. Depending on how far you have to walk to the ferry terminals, it can be faster to take the Star Ferry Hong Kong to Kowloon than the MTR. Starting at HKD 2.2o per adult, per way, it certainly is cheap. Try to sit on the upper deck to avoid inhaling coal fumes that trap themselves on the lower level. It costs a few extra cents, but I believe it’s worth it. There is no need to check the schedule (unless you need to ride it very early in the morning or late at night) because the ferries run frequently enough. 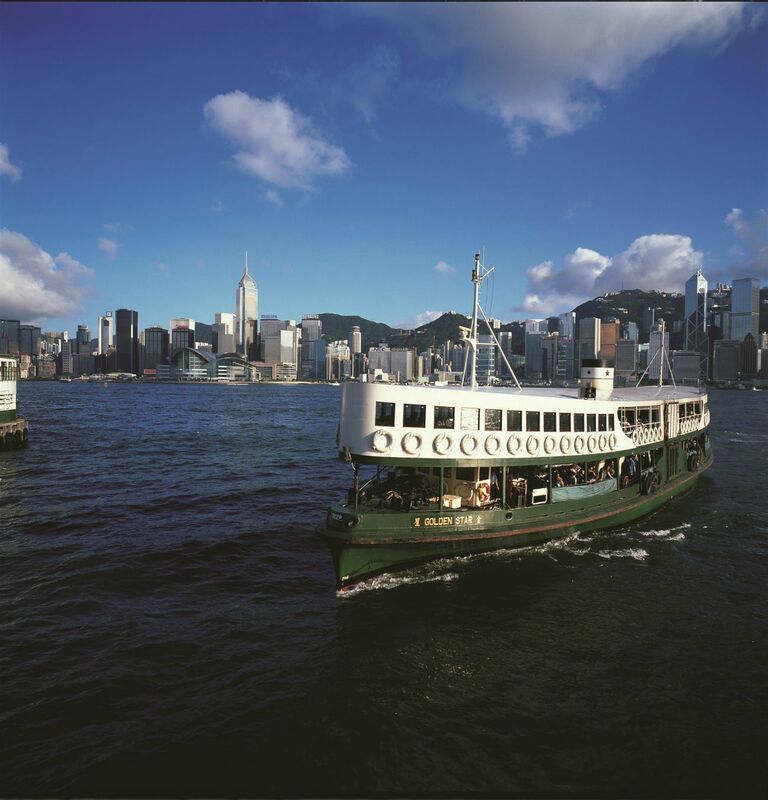 You can also book a short Star Ferry tour around Victoria Harbour during the day or at night. The latter is particularly spectacular, and I would choose the one timed during the ICC and Symphony of Lights evening light shows. Yes, there are streets dedicated entirely to toys. Since we always in Hong Kong near my daughter’s birthday, these streets are where we load up on party favors. 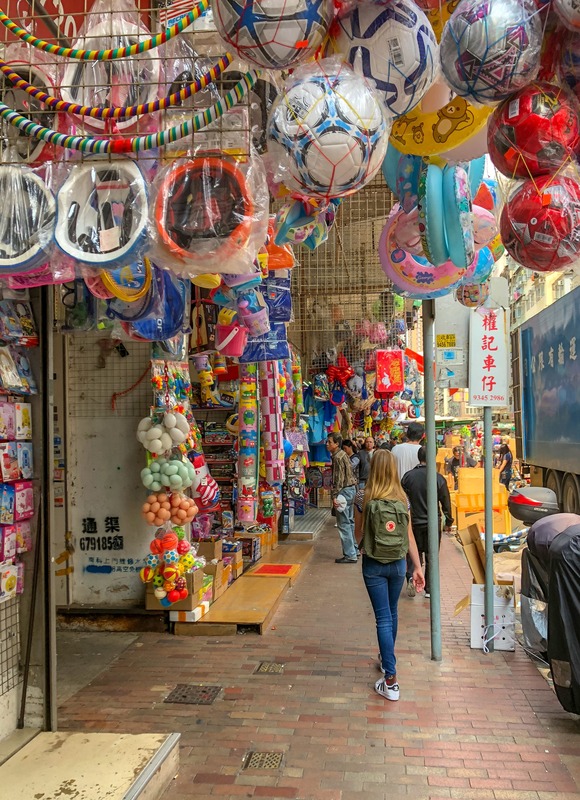 Go to Fuk Wing Street in Sham Shui Po (we stop into Tim Ho Wan for a barbecue pork bun prior) where there are cheap plastic dolls, balls, gadgets and school supplies that you can buy individually or in bulk. It’s a nice stop if you’re shopping the other markets in Sham Shui Po anyway. Admittedly, the toys do start to look the same after a while. Take Exit B2 at Sham Shui Po Station, walk two streets and turn right. Another option is Tai Yuen Street in Wan Chai. This one has more variety and nostalgic toys. Take Exit A3 at Wan Chai station and walk just a few minutes. You’ll see it. If in need of a costume for any reason, definitely go to Pottinger Street. This small market in Central has loads of costumes and accessories year-round. It’s also conveniently located next two other famous shopping streets called The Lanes (Li Yuen Street East and Li Yuen Street West) just off of Queens Road near the Mid Levels escalator. Note: The Peak Tram will be closed for maintenance for up to three months starting on April 23, 2019. First, pray for a clear day because The Peak offers the most spectacular view of Hong Kong. The viewing deck on the top of The Peak Tower on the Sky Terrace (admission required) is the perfect place to take that holiday card photo. Or, opt for the free Lion’s Peak Pavilion to the right (if facing Victoria Harbour) of The Peak Tower. It’s a free viewing platform with more charm but usually crowded. Go any time of the day, but I think it’s best to maximize your time up here by also dining at The Peak Lookout. There are also quick-service restaurants, some of which serve must-try Hong Kong food. Madame Tussaud’s is here as are many, many souvenir shops. Note: The Peak Galleria is closed for renovation until 2019. This is where a number of restaurants, shops and Trick Eye Museum are located. Stroll around the Peak Circle Walk for more scenic shots. As the name implies, you can walk an entire circle around The Peak. There’s a little kids’ playground around the middle if they need a break. It takes around 40 minutes to do the entire walk, however, when short on time we walk it for a bit and then reverse. We usually take The Peak Tram up and taxi back down, because my daughter is usually tired from walking. However, on the most recent trip we walked down the scenic Morning Trail from the Peak all the way back to Four Seasons Hotel Hong Kong in Central which took about an hour or so (however, I know where I’m going… if you try and get lost at the bottom of the trail, hail a taxi). Likewise, many hike to Pok Fu Lam from The Peak and down a few other trails. 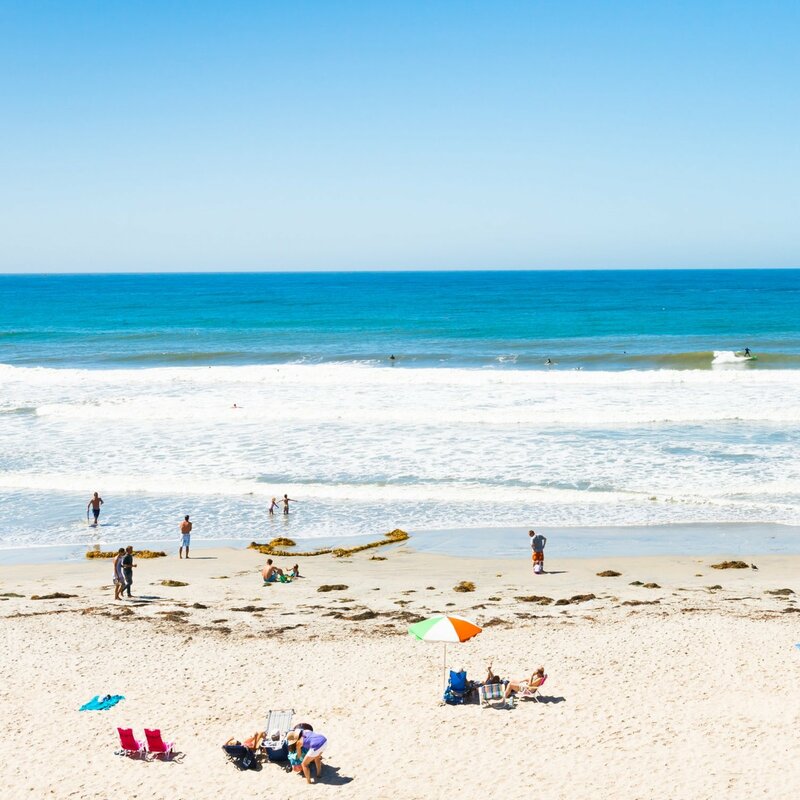 If this appeals to you, ask your hotel concierge for a map and make sure your cell phone is charged. Tip: The queue for the Peak Tram on the way up has been really long lately. Get a skip-the-line ticket from Klook (you can bundle this with discounted admission to Madame Tussauds and the Sky Terrace) or the Hong Kong pass. Here’s something to do on a rainy day (and, in the summer, there are plenty of rainy days). 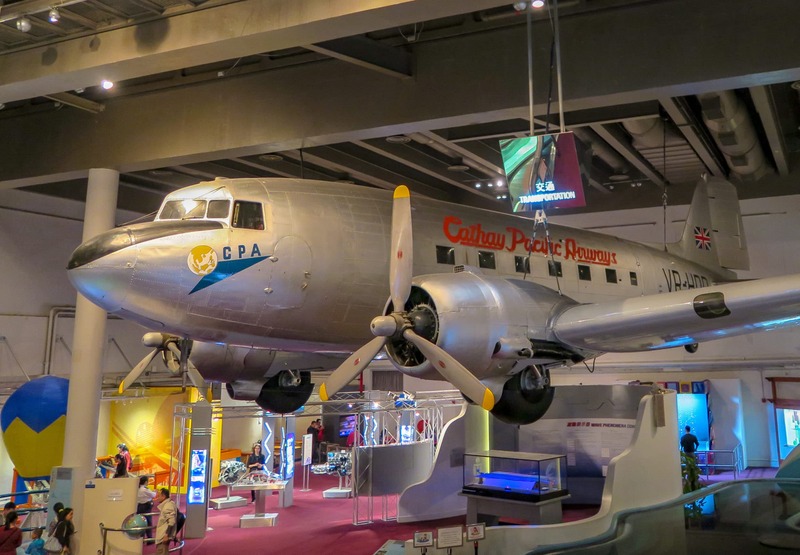 The Hong Kong Science Museum is located in Tsim Sha Tsui East in Kowloon and has over 500 exhibits on display including Cathay Pacific’s first DC3 airliner suspended from the ceiling. Most of the exhibits are hands-on including a car simulator that you “drive” to avoid accidents. Another highlight is the 22-meter Energy Machine (the largest of its kind in the world) with audio-visual effects simulating energy. Kids will love it. The Hong Kong Museum of History is right next door and free to enter. It is my favorite Hong Kong museum and does have some colorful hands-on exhibits for kids, but you will likely enjoy it more than they will. I say hit both at the same time. It’s not huge but passing through here is a pleasant thing to do with kids, especially if you’re walking from Central to Admiralty (or vice versa) or need a break from shopping at Pacific Place (one of my favorite indoor malls). 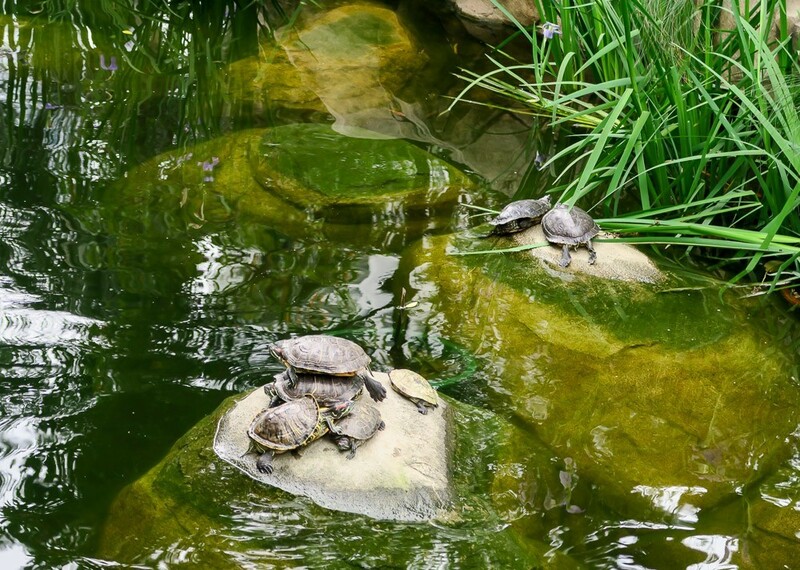 Turtles and koi fish can be seen swimming in little ponds along the walkway. There’s even a small teaware museum worth visiting quickly. When it’s hot, it’s easy to duck into Pacific Place mall for a drink or bite to eat. This park is a little oasis off of the busy street. If families are considering the Admiralty Hotels (Upper House, Conrad, JW Marriott, and Island Shangri-la), I always point out this park as a perk of the location. Named for the stunning views seen during a ride, Ngong Ping 360 eliminates the need to endure a windy bus ride to the Po Lin Monastery on Lantau Island. Take the MTR to Tung Chung station and the cable car is just a few minutes away on foot. Ride in a regular cable car, private cable car or even a glass-bottom cable car. 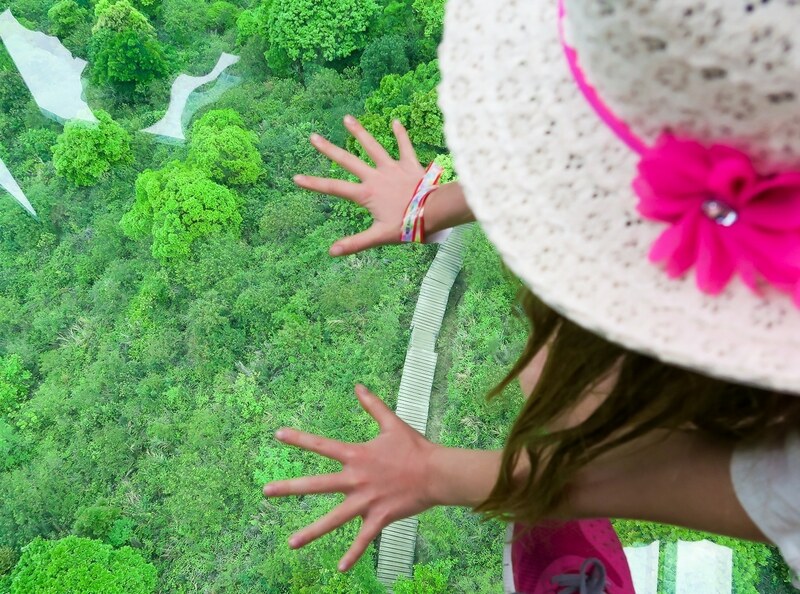 Kids will love the glass-bottom cable car which usually has a shorter boarding queue. The cable car drops you at Ngong Ping Village where there is shopping, dining, and entertainment (it’s a bit touristy). 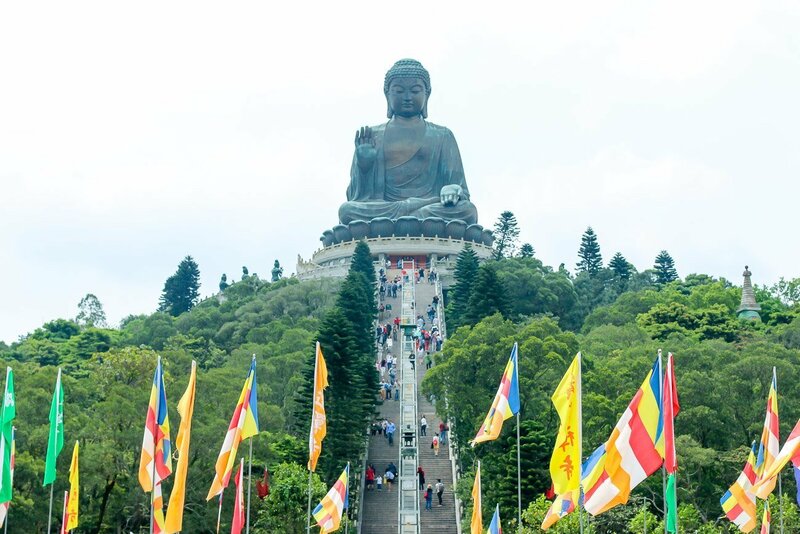 Nature walks are accessible here but most famous is the Po Lin Monastery where you may have a decent vegetarian lunch and the Tian Tan Buddha, otherwise known as the Big Buddha. Though people from all over Asia make the pilgrimage to see the Big Buddha, it was built in 1993. It is still a holy place. If your kids are good walkers, do take a quick detour to the Wisdom Path where a group of large wooden steles displays a prayer. It’s great for photos. 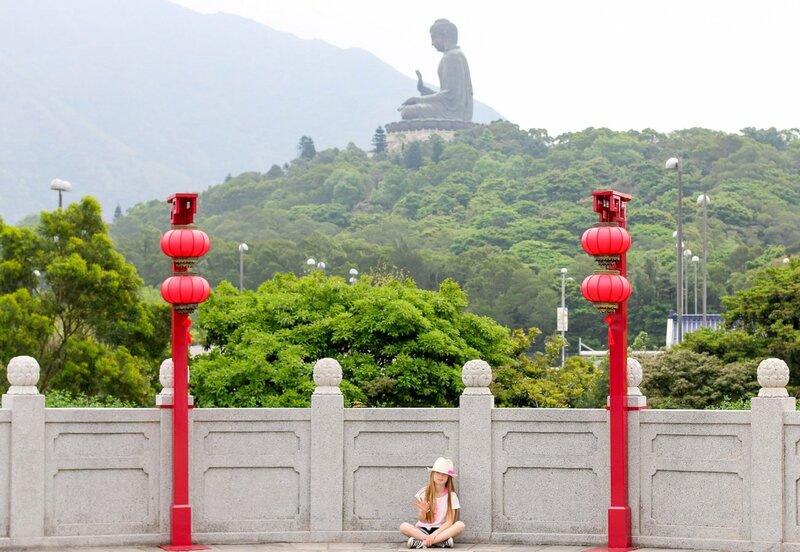 My daughter loves visiting the Big Buddha and asks to visit every time we go to Hong Kong now. 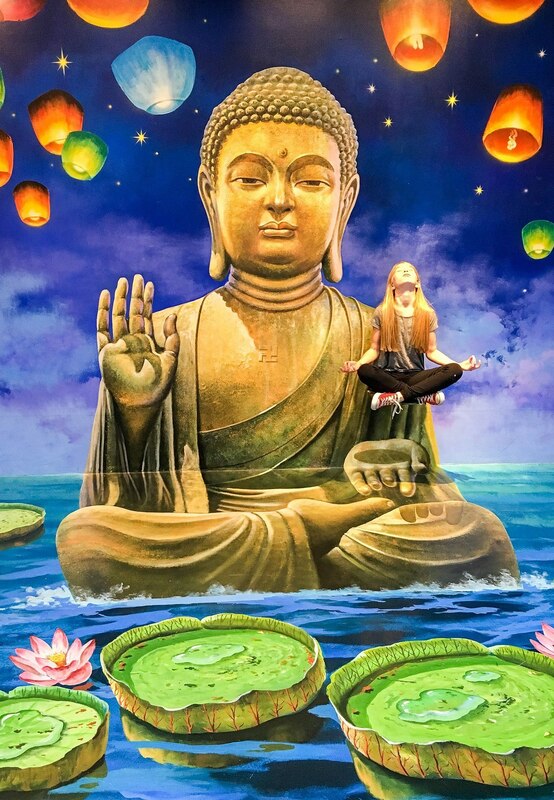 You can read more about our tips for visiting the Big Buddha because there is a lot to know. Some hotel concierge desks can purchase your Ngong Ping cable car tickets in advance. Otherwise, Klook has them and a dedicated expedited line at the entrance. 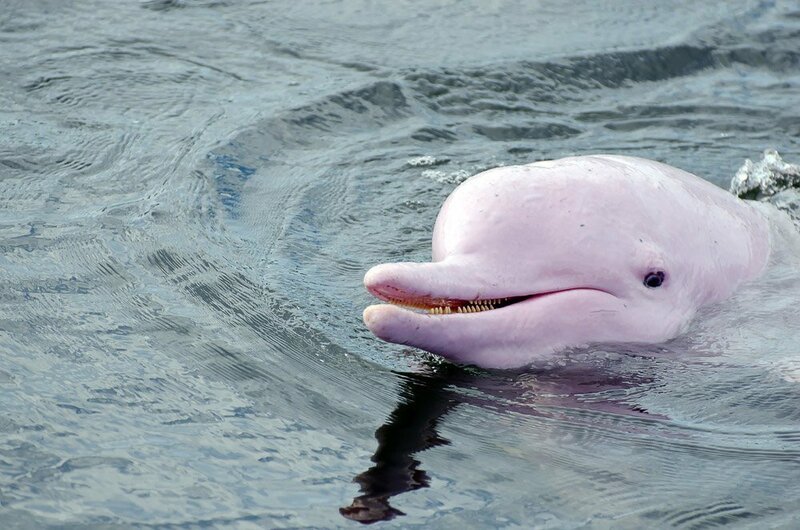 Sadly, due to pollution, ferries and harbour reclamation, the endangered Hong Kong pink dolphins are becoming even rarer. They are gorgeous and if you can swing 3 hours on a boat, try to see them before they are gone. Through Klook, you can book a Hong Kong pink dolphin watching tour. 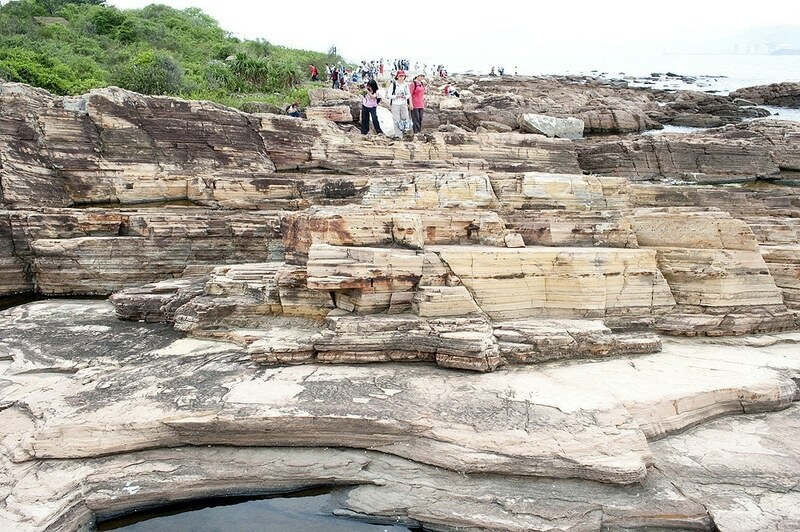 Eight UNESCO Geoparks in Hong Kong highlight interesting rock formations created by the Earth’s movement. Contrary to the way the above Geopark looks, some are flat and easy for young kids to navigate. There are hexagonal volcanic columns, sea arches, and more. Some of them are remote. Your best bet is to do some research to decide which are most appropriate for your family and whether or not to take a tour. If you happen to be staying at The Peninsula Hong Kong, they now offer a private helicopter tour of the UNESCO Geoparks as part of their Peninsula Academy bespoke programs, or you can book one via Klook. This show never gets old, and my daughter has loved it since before she could talk. I highly recommend harbour view hotel rooms as most have views of the nightly Symphony of Lights show over Victoria Harbour. The ‘World’s Largest Permanent Light and Sound Show’ as named by Guinness World Records starts every night at 8:00 p.m. 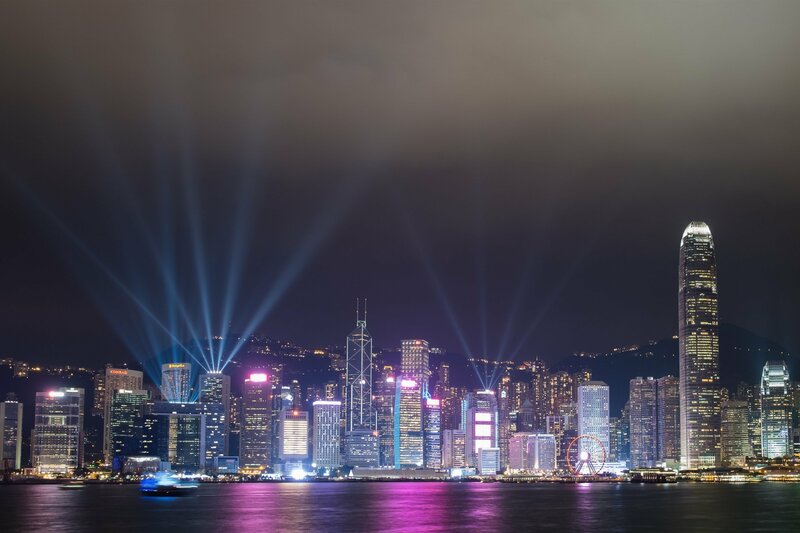 Colored lasers and lights shoot from the top of 40 buildings lining the Hong Kong skyline. Listen to music (Hong Kong Philharmonic Orchestra recorded the new musical score) and narration available via the A Symphony of Lights app though it is broadcast live near Avenue of the Stars in Tsim Sha Tsui and at the promenade at Golden Bauhinia Square in Wan Chai. Make sure to see the laser show at least once. The ICC building, which you can see from Hong Kong island. Download the app so that you can listen to music synchronized with the light show. You can see it extremely well from a harbour view room at Four Seasons Hotel Hong Kong, the IFC terraces on Podium 3 and 4 as well as some harbour view restaurants. The shows happen nightly at 7:45 p.m. and 9:00 p.m. Remember, you can see both shows at the evening Star Ferry tour or book a Symphony of Lights tour on Aqua Luna, a (new) traditional Hong Kong red-sailed junks (more details below). This activity depends on the level of patience your kids have, but the Mid-Levels Escalator is the largest escalator in the world. Starting at 6:00 a.m., the escalator runs downhill to take residents to work and switches directions at roughly 10:15 a.m. to run uphill until midnight, at which point it turns off until the morning. Make it a challenge and see if you can ride it all the way to the top though it doesn’t reach The Peak. You can always exit the in the Mid-Levels/Soho area for lunch, dinner, shopping or a snack. There are tons of great restaurants in Soho/Mid-Levels. As you’ve likely taken the escalator up, it’s easy to walk back down (not easy with a stroller unless you know the back routes). My daughter liked to count the steps down when she was younger. Or, simply taxi back down to Central. Cycling is growing to one of the most popular things to do in Hong Kong with kids and most often done in the New Territories. 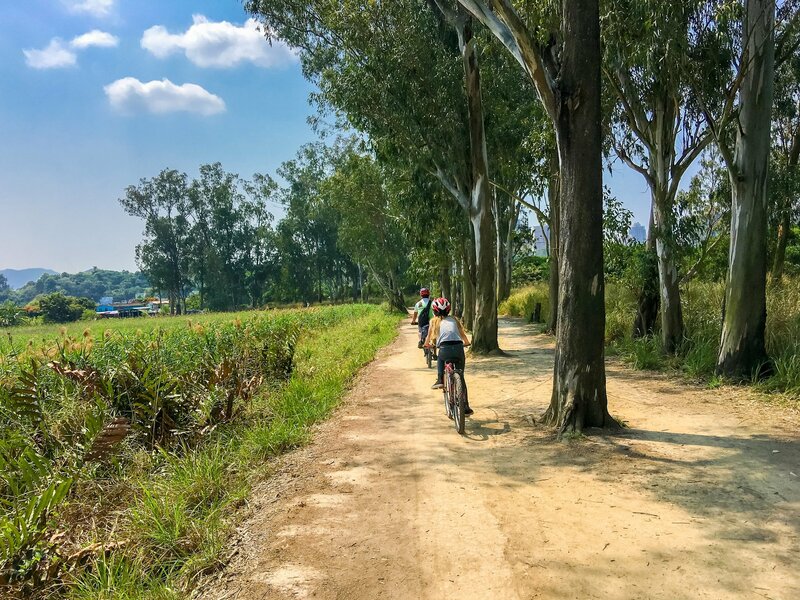 We took a half-day private biking tour of the Walled Villages in the New Territories with Mountain Biking Asia that I would recommend for kids that can handle more rugged terrain. It’s pretty flat, with a few small hills and dirt roads but they do need a little strength and endurance. My daughter was nine when we first did this and fine. We have also rented bikes just outside of the MTR station in Tai Wai (they even have kids’ bikes). This entire route is pretty flat and a dedicated bike path. Discover Hong Kong has a helpful page outlining the various bike paths and rental information. Red-sailed junks are Hong Kong’s icon, often seen in travel ads, and a sight that lends immediate recognition to Victoria Harbour. 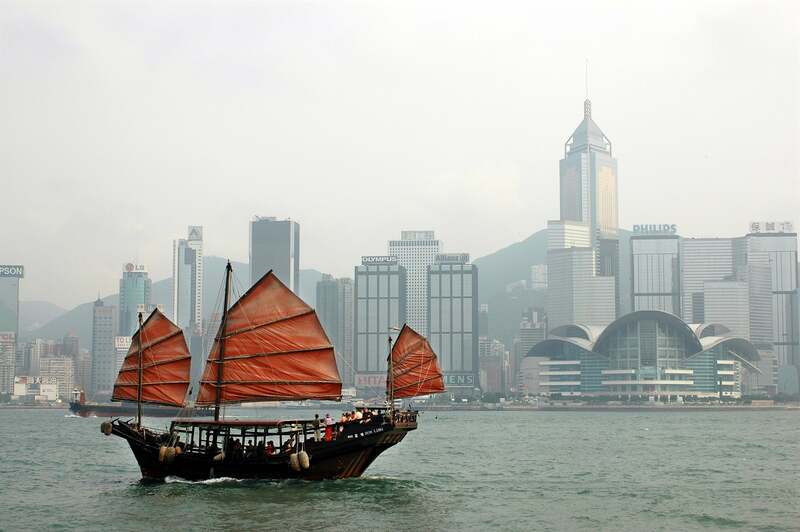 Duk Ling is the last authentic Chinese sailing junk in Victoria Harbour. The junk has been painstakingly restored and is available for short cruises during the week or private hire. If you’re not going to ride it, keep an eye out it in the harbour. I see it often from Four Seasons Hotel Hong Kong. Another red-sailed junk built by the Aqua Group is also visible on the harbour and available for dining and tours. It’s called Aqua Luna but is a new ship which means the experience is a bit more posh with more comfortable seating, cocktails, and food for purchase. Those who prefer a more authentic experience should choose Duk Ling (a complimentary glass of beer, red wine or soft drinks is provided as well). Aqua Luna also runs on a hop-on, hop-off basis between noon and 5:00 p.m. to four points in Hong Kong. There are also some junks you can rent by the day (sans the red sails, usually). We’ve done it with friends (and loads of champagne), and it’s quite fun. If you ride a Hong Kong junk, bring sunscreen if during the day. If you are very sensitive to sea sickness, give it a skip. Kids who love boat rides can get their fill in Hong Kong between the Star Ferry, Duk Ling, Aqua Luna, dolphin watching and ferries to outlying islands where the buzz of a big city is less noticeable. 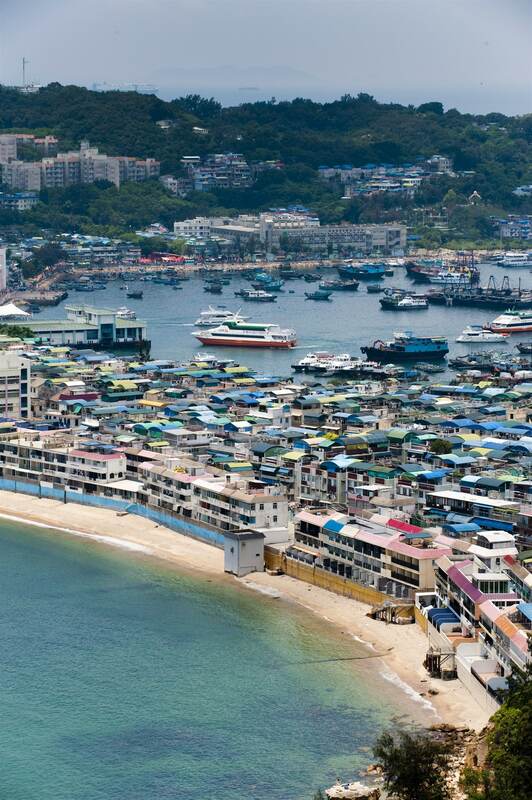 The two most popular islands are Cheung Chau (pictured above), which is famous for the annual bun festival in May (if you are in Hong Kong in May, this festival is a must), and Lamma Island, another fishing village. 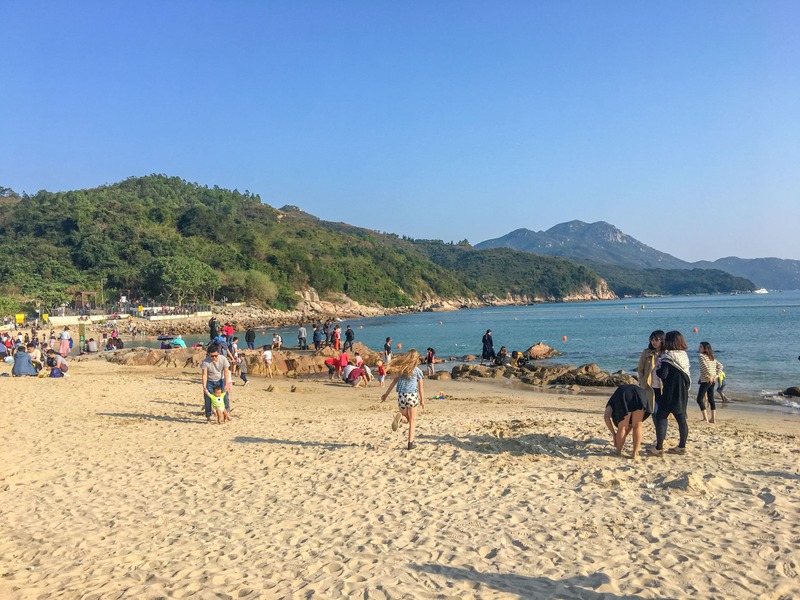 Cheung Chau is home to a pretty beach near the ferry terminal and water-based outdoor activities like kayaking and swimming, while Lamma Island is home to fresh seafood and a little beach. We used to take the 20-minute ferry ride over to Lamma from Central, walk around the island and then eat at one of the small seaside restaurants. The islands, especially Lamma, provide a nice break from city life. 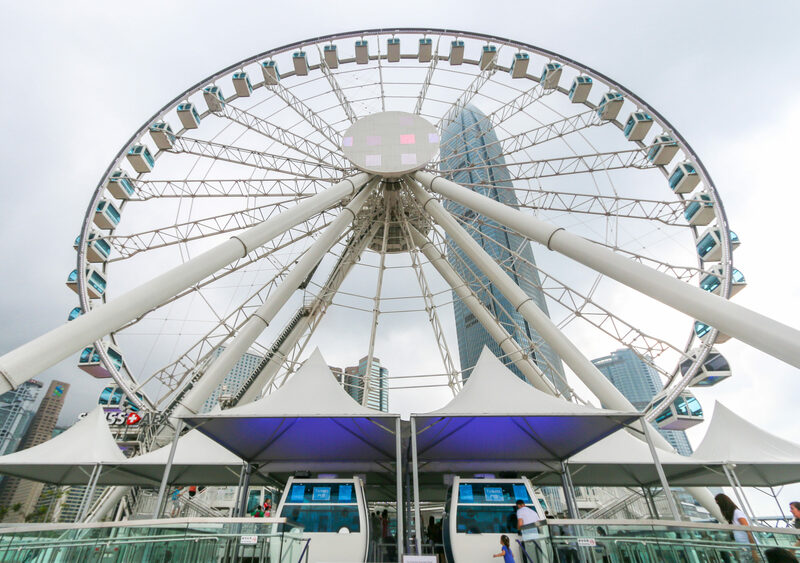 Recently opened on the Central Harbourfront, the new Hong Kong Observation Wheel (or Hong Kong Ferris Wheel) provides 20 minutes of fun for all ages. The wheel spins around three times and provides excellent views over Victoria Harbour. It’s also within walking distance of the ferry terminals and Central hotels. One of the best times to visit is during Golden Hour when the sunlight hits the skyscrapers or during the Symphony of Lights show. But, really, any time is a good time. Note: Trick Eye Museum is located inside The Peak Galleria which is closed for renovation until summer 2019. My daughter and her friends loved this little 3-D art museum. I would say allow 30 minutes or so to walk through the rooms in the Trick Eye Museum. This one is convenient because you’ll likely be touring The Peak at some point anyway. 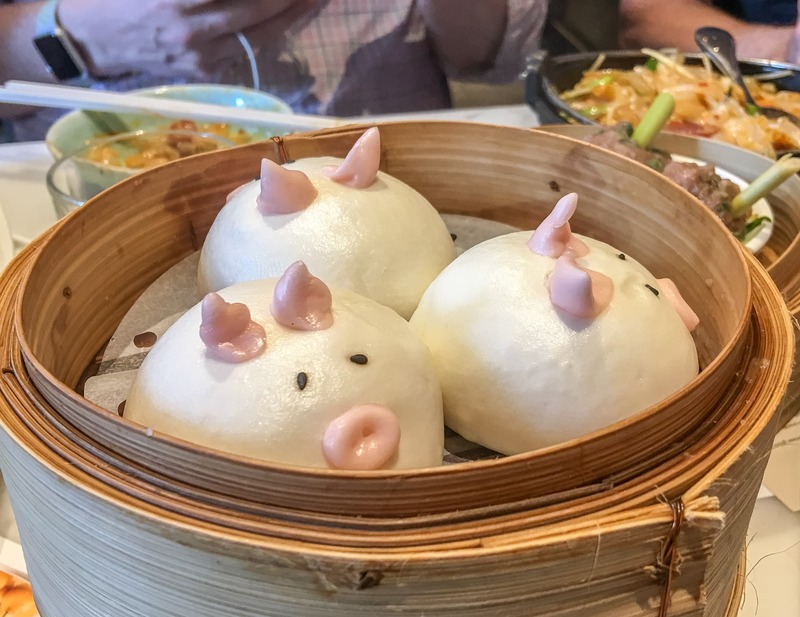 Character dim sum is trending in Hong Kong and elsewhere. One of the most popular places for it in Hong Kong is a restaurant called Yum Cha which as locations in both Central and Kowloon. We often meet friends here because the kids love it and the food is good. Do make a reservation. They also offer dim sum making classes. Dim Sum Icon, now only in Kowloon, is another restaurant where the themed character dim sum changes every so often to keep people coming in. To be honest, I did not recognize the character series featured when we were there, but they’ve featured Gudetama, Sailormoon and other favorite characters. In my opinion, the food is better at Yum Cha. Of course, you can also reserve Crystal Lotus inside Hong Kong Disneyland Hotel for Disney dim sum. 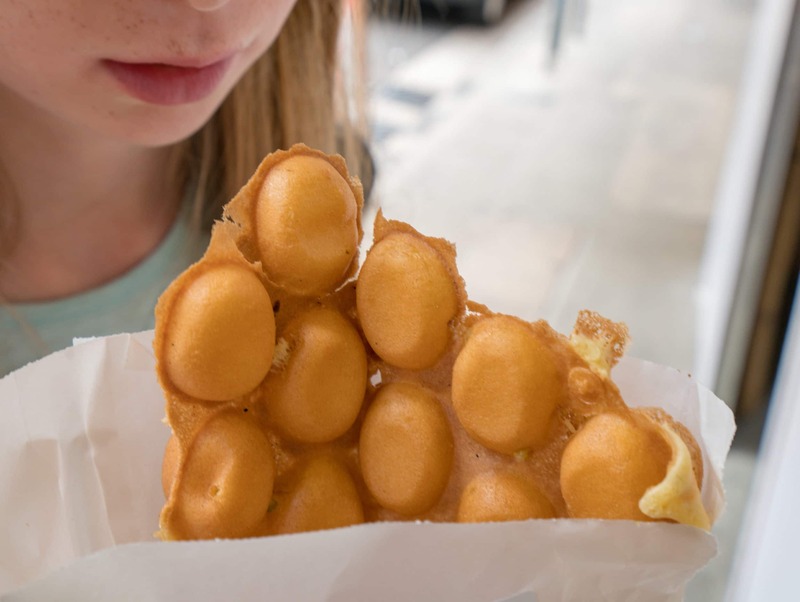 Even picky kids may enjoy one of Hong Kong’s most popular street food snacks: the egg waffle (also called Hong Kong waffle or eggette). In addition to the mildly-sweet flavor of the original (many flavor variations exist now) they might like to see how the waffles are made and dried by a fan. We like Mammy Pancake (locations on the island and in Kowloon) which has recently earned a Michelin star. Lee Keung Kee (North Point and Kowloon) is popular as is Oddie’s (Central and Wan Chai) if you’d like an eggette wrapped around soft-serve gelato. Other local must-trys that kids may love include pineapple buns, Hong Kong toast, won ton noodle soup, and egg tarts. Eating in Hong Kong with kids also isn’t challenging. 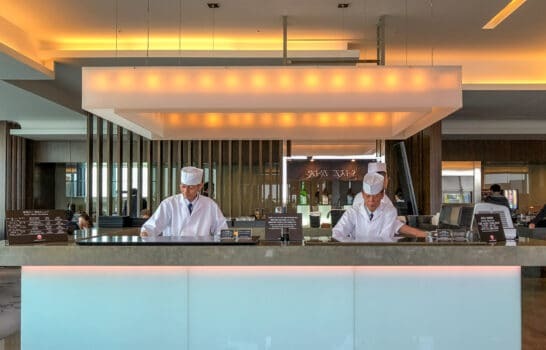 There is plenty of Western food available, but kid-friendly favorites like steamed rice, fried rice, egg rolls, and other simple Chinese food items can be ordered, too. Do not panic if you forget to pack something. Many Western brands of jarred baby food, formula, diapers and more are available at chemists and grocery stores. Car seats aren’t required in taxis. Uneven pavement makes using a stroller difficult in some areas and finding a lift in an MTR station can be difficult, though not impossible. Hong Kongers love kids, and I’ve received plenty of help with strollers and bags from strangers over the years. If time permits, Hong Kong is a fantastic city for a vacation photographer. We used Flytographer for a 30-minute session and were quite pleased. Book through my link for 20% more photos and a free SmugMug print, if you’d like to try it. Shoots start at $250 for 30 minutes. The maximum occupancy in Hong Kong hotels is three people, including kids, with a few exceptions. Even families of four will usually need connecting rooms. I have had nothing but good experiences with babysitters at both Four Seasons Hotel Hong Kong and Mandarin Oriental, Hong Kong. These are my top two Hong Kong family hotel picks and where we stay every year. 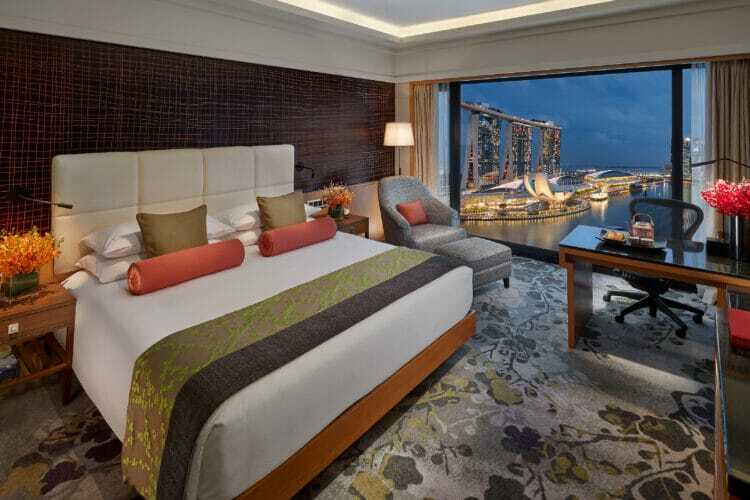 If you are considering a luxury Hong Kong hotel, I have access to VIP amenities and perks (that may include complimentary breakfast for two, room upgrades, food, and beverage credits and more) at five-star hotels in town through my role as an independent affiliate at Cadence Travel (a Virtuoso member agency*). Send me your dates, and I’ll let you know what’s on offer in the luxury category. 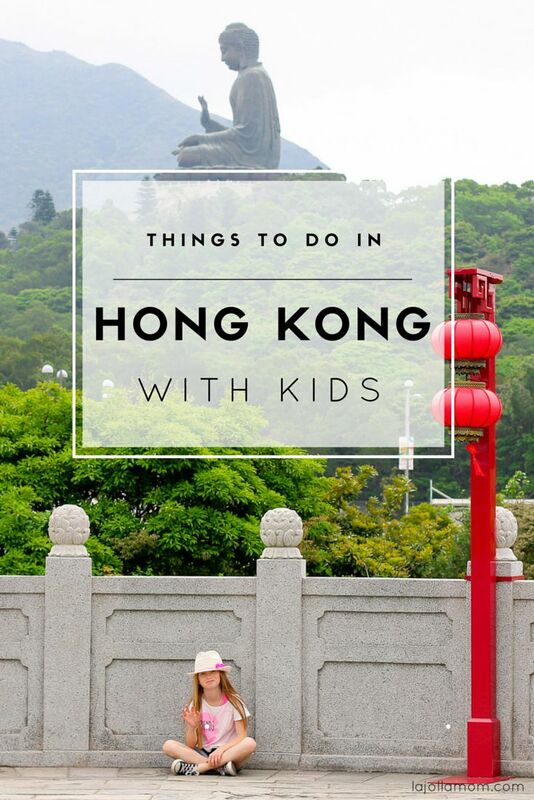 What are your favorite things to do in Hong Kong with kids? Photo credits: Geopark, Flickr/Anthorea; Star Ferry, Peak Tram, Symphony of Lights, Duk Ling, Mid-Levels Escalator, Cheung Chau are courtesy of the Hong Kong Tourism Board. Awesome! Would love to take the kids there someday. Hi! You definitely should. We try to go back every year. Except with my daughter in elementary school now, Asia in the summer isn’t ideal, but we’ll do it anyway. Singapore is awesome, too, with kids. SUCH great tips! I want to go!! 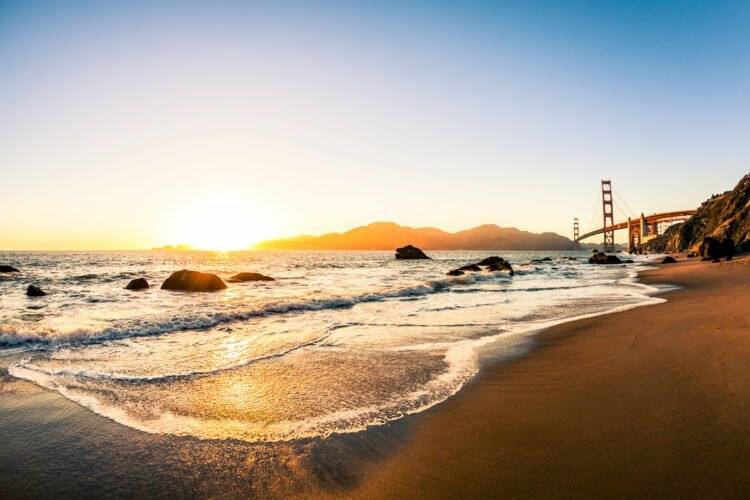 Beautiful photos and a wonderful list of family friendly places to visit! Great pics! Pinning like crazy. I so want to go to Hong Kong! Thanks for the pins! I am biased, but I love it. HK is also the perfect gateway to the rest of Asia. A lot of our friends used it as a base from which to travel to other places. What a nice trip and beautiful pictures. Your photos captured the beauty of Hong Kong. Thank you for this fabulous list! I’ve been scouring online and this has been the most helpful on what to do in Hong Kong with kids. Are the trains relatively easy to navigate? Yes, they are easy to navigate. Each train has an easy-to-read route map inside with stops labeled in English toward the ceiling and they’ll make announcements in Cantonese and English on major lines (along with showing a flickering light near the station you are approaching). Some stations have multiple exits so it’s very important to find out which exit you need…. exit A, D, H, etc. Taking the wrong exit can lead you blocks away from where you thought you’d be! The pictures do tell its own story as Hong Kong is a breathtaking destination to call by especially with kids. For all those families planning a holiday in this part of the world, Cosmopolitan Hotel Hong Kong would be the best place to kick start your holiday. So useful! We have a 3 and 5 year old, so will definitely take your suggestions. Thank you very much. this is so useful! thank you! we’re traveling with our 4-year old and these are awesome suggestions for us to enjoy with him. do you also have recs on accommodations? thanks so much in advance! I like to stay in Central because it’s where we used to live and very convenient. I think Kowloon near the harbour is equally convenient. It really depends on your budget. 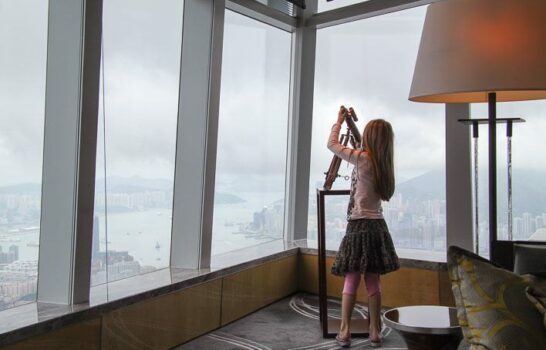 Four Seasons HK and Mandarin Oriental (the original, not the Landmark MO) are both luxurious and family-friendly. Upper House is quite popular right now, too. Hi! My famliy and I are planning to go to Hongkong this August. I have 3 kids and my youngest is 2yo. We might be staying for 3 days/2 nights. Of course Disneyland is the top priority. But aside from that, where else can you we go? We don’t like to avail of the usual 3D/2N HK Tour since some of the trips are not suitable for us. How can we maximize our stay there? Aside from that, kids love Ocean Park. Go first thing in the morning (with tickets in-hand) and leave by afternoon before it gets really hot. Look to see if there are any special experiences at an additional cost that might be indoors and avoid the crowds. If your hotel has a pool, that is ideal, otherwise you can consider going to a public pool to cool down! We still have a great time regardless of the weather so don’t worry about it too much, I just want to let you know about it! Hi, this is informative â˜ºï¸?? We will try baby’s first out of the country- at his First bday and this will be happening on november. With a baby which is about to be 1 yr old Iam thinking if we will just stay in disneyland hotel for less hassle? do you think that would be a good idea? because to be honest I don’t think we could manage to travel alot along HK streets not unless we have specific list for baby’s dayout one place at a time. any further suggestion for us? thanks big help? Thanks for all the great suggestions. I’ve been to HK many times, but I will be going with my niece for her first visit in spring. One place that I went to before and great for kids is Hong Kong Wetland Park at Tin Shui Wai. It is a bit out of the way, but you get to enjoy the fresh air. Very educational for kids. Hi! Your post has been super helpful! We are going to Hong Kong next weekend with another family. We’ll have 4 adults and 5 kids, ages 5 and under. 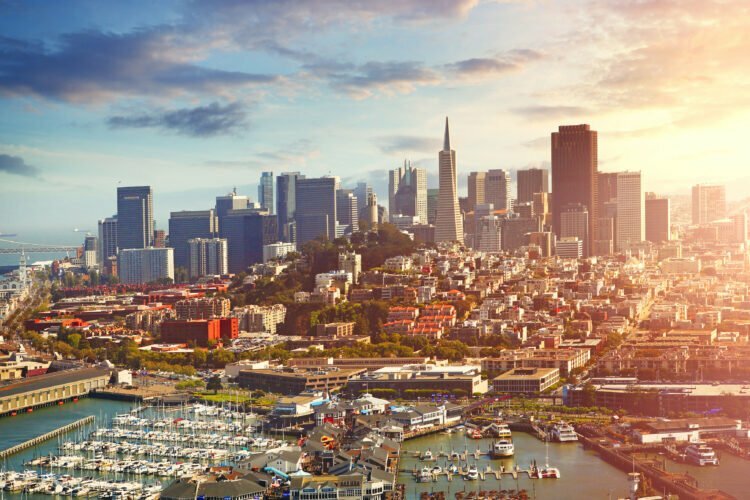 Is there anything we can do ahead of time to make the trip go more smoothly?Is it possible to get the Octopus card ahead of time, or exchange money? We don’t fly in to HK until 10:30pm so we’ll be in a rush to get to the hotel that night. Any tips for doing Hong Kong with this many littles? I stumbled across your blog and enjoyed your amazing reviews! 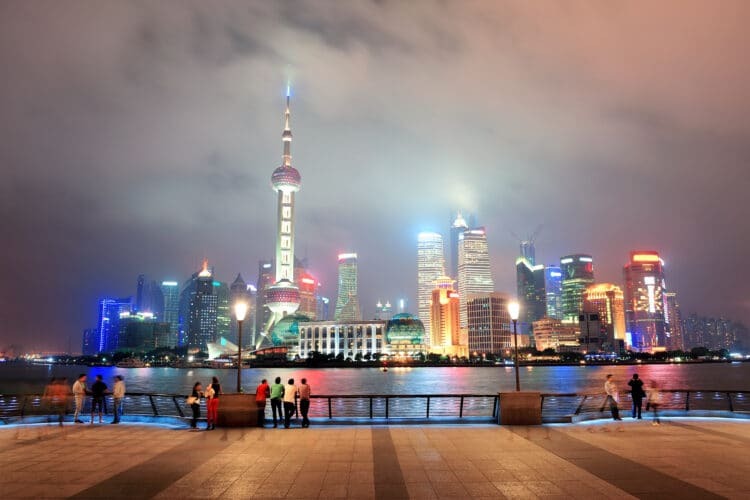 My husband and I are traveling to Hong Kong March 2016 with our 3 kids (5, 3 and 14 months). I need help with finding a hotel that will accommodate our large family without charging extra. 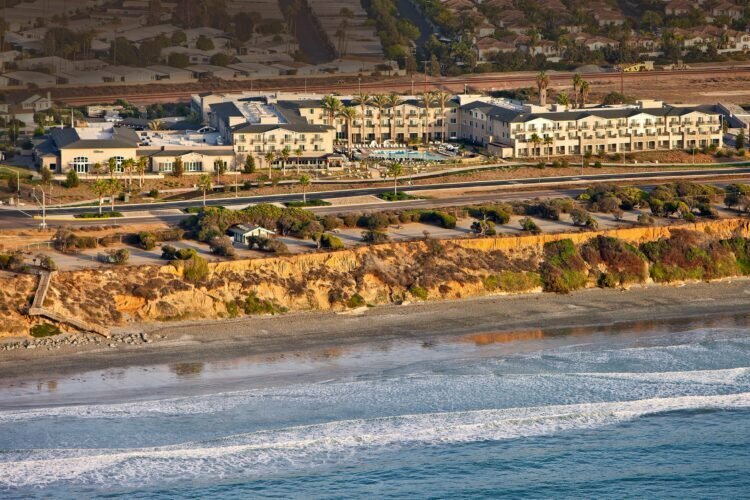 Do you have any recommendations for good hotels that will take all of us? If not, what are your thoughts on renting a flat/apt through vrbo? Do you have any recommendations? Thank you! We’ve been there last week. We stayed at the kowloon hotel. Its located infront of peninsula hotel at tsimtsashui kowloon. It has good location and not that pricey. Down part, rooms are small but good enough if your not that particular about the size. Thanks for a wonderfully curated checklist of Hong Kong. I just returned from a 3 week trip with my kids, ages 10 and 8. We got through most of your list, and had a wonderful time. Thank you especially for the tips on Ocean Park and Big Buddha visits. The Panda Experience was magical! Hello.thank you for yourblogs.It is very helpful as I am travelling with my family(kids ages 4&6).We thought of going to Macau for a day,any suggestions(aside from the House of Dancing Water)? Brilliant post. My husband often travels to Hong Kong with work and been wondering if my 6 year old daughter and I would enjoy it as much as him. Sounds like absolutely yes. The disney land will swing it for her too ? We are taking our grandkids, ages 4 and 8 to Hong Kong in March for 6 days. We love your suggestions and wonder if there are any new updates? Thank you. When it comes to things to do with kids in Hong Kong, nothing changes too much. Ocean Park now has a fast pass system that I would recommend looking into for shorter queues. I am headed back to Hong Kong in March, too. It’s a great time of the year. Have fun! hello very nice pics! !, i plan on going to hk dec 30 to jan 3. do you know if we can go to tourist places like big buddah, the peak in jan 1 and 2? i am afraid many places will be closed because of it being a holiday. Hi – Thinking of visiting Hong Kong with my wife and son age 9 last week of December 2017. My and son’s first time. Which is the best hotel to stay? Kowloon vs. Hong Kong Island? Peninsula? Grand Hyatt? Four Seasons? Mandarin Oriental? What is weather like? Is everything open that time of year? Is Macau worth visiting for the day? Thanks so much – D.
I quite like December in Hong Kong. The skyscrapers will be decorated with holiday lights. It’s a little chilly but no big deal depending on where you come from. I like staying on the island but it is mostly because this is where our friends are. If I were to stay in Kowloon, I would choose The Peninsula or Hullett House. Both are near the Star Ferry which is super cheap and easy way to cross the harbour to Central. One thing to think about is the pool situation especially with kids in tow. It might be cold (though if coming from say the U.K., you’ll think it’s delightful) to use the outdoor pool deck at Four Season though the pool water is heated and it’s the best pool deck in town. 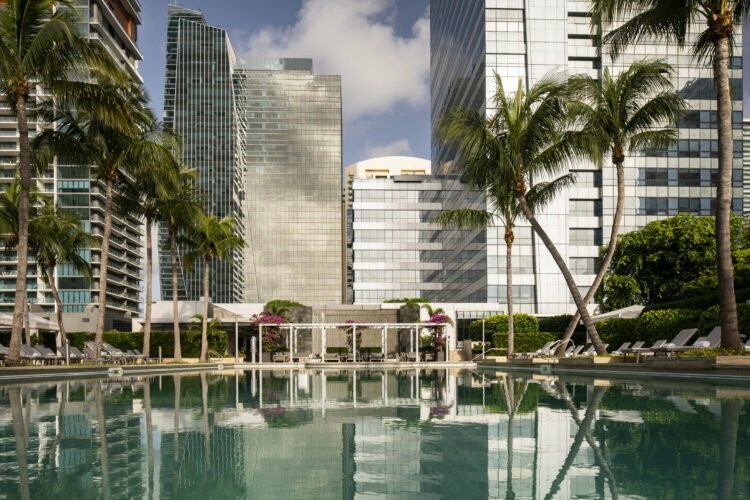 Mandarin Oriental (and The Peninsula) have indoor pools. The hotels you mention are all excellent so it’s O.K. to also let price determine where you book. Macau in one day with a child might be too long of a day with a child in tow unless you take the helicopter. And, things will not be open on Christmas Day or really Boxing Day but you’ll be fine with attractions being open otherwise. It’s Chinese New Year that is the important holiday when smaller businesses will close for long blocks of time. We’re currently visiting HK with a 4 & 1 year old and just wanted to mention that Avenue of the Stars (and the Art Museum) are both closed until 2018. There is a “garden of the stars” nearby with three statues (Bruce Lee incl) and a few hand impressions but most of the area along the harbor is closed off a the moment. Every detail has been given here for the people who wants to travel to Hong kong along with children. Thank you so much … I am really excited about my upcoming visit to this place along with kids after going through this article. It’s my pleasure! I adore Hong Kong and hope you do, too! 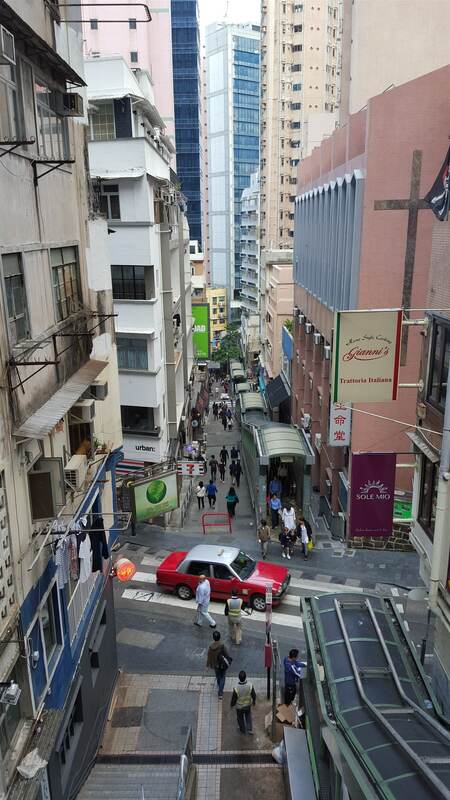 While many things change in HK every year, the streets do not. So, advice is still the same. You can always bring a stroller and use it anywhere though just be mindful that you will encounter sets of stairs and narrow sidewalks you’ll have to navigate. I would bring your own. If you’re in Central where the malls/buildings are connected it’s no big deal to walk around with a stroller. MTR stations also have lifts (though they can be a touch hard to find, just ask someone). You’ll definitely want it should you go to Disneyland. Hi! It really depends on the weather. It is very, very hot in July and can rain. 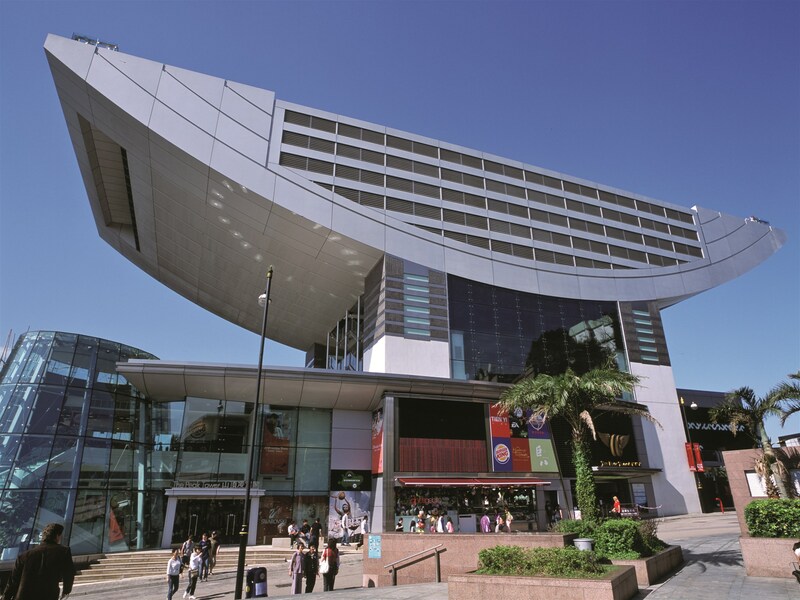 I quite like some of the museums in Kowloon (Hong Kong History, Space Museum) for when it’s hot and rainy or maybe a visit to the Peak (there’s a Galleria, the deck where you can take a photo against the skyline, the Trick Eye Museum. We really like Ocean Park but it is tough when it’s hot! This list is great! My almost 5 year old and I will be in Hong Kong for a week in November! We are super excited, first time for both of us. Do you have any recommendations for great day trips aside from what you have listed? I was also planning to get a hotel in the city center rather than trying to move hotels mid-week, does that make the most sense? Thanks! We need help on how to plan our Hong Kong trip for next year since we will be traveling as a big family atleast 20 members. Your advice and opinion could really help. Thank you. Sure, Denise. I can email you later today! Hi, we are family of four, kids are 8&5 y.o. We would like to take the kids to Hong Kong in March during Easter break. Would you have any idea how the weather is like mid March? Planning on staying for two weeks. It needs to be worth it as we reside in Tanzania and travel time is pretty long from here! Looking forward to hearing from you! Thanks! Hi Dita. The weather in March is usually pretty temperate. That’s when we visit. We stay at Four Seasons and use the outdoor pool in March but there are some days that are cooler when you might want a sweater outside. I find this much more tolerable than summer when it can get REALLY hot and humid. Have fun! Hi! Thanks for the reply! I could imagine Hongkong’s summer being like Hanoi’s summer where we lived for four years, crazy hot and humid. Thanks for the tips! I don’t think we are in a budget of Four Seasons or MO Hongkong, but your blog also recommends other hotels which I am looking into now! Thanks! My friend and I are hoping to visit HK in April 2019 with my husband and (will be) 20 month old. This list is extremely helpful. Any other advice or activities you would recommend? If you haven’t already seen Cirque du Soleil’s KOOZA, they are premiering there on 19 April at Central Harborfront (by the water) Highly entertaining! Whats the best and cheap mode of transportation from HK to Macau? It’s probably the ferries – TurboJet or CotaiJet depending on which part of Macau you’re headed to. Hi Katie, we have an enexpected day in Hong Kong (today!) due to a missed flight last night from here to saipan. Ordinarily I am a good trip researcher and planner but I’m exhausted from the flight from LA and a little intimidated about what to do today and how to get places. Thanks for your list. Escalator is top priority I think! (Boys are 12 and 9). We are at the sky city Marriott. Any leads for a tour guide for the day if we decide to go that route? Hi! Apologies for the delay but I hope you made the most of your time in HK! Great tips. We loved the trip! Tai O particularly!